In New Jersey we tend to enjoy a relatively exciting winter each year. We know that you will agree that while the days can be mild from time to time, the nights are extremely cold, miserably so at times. 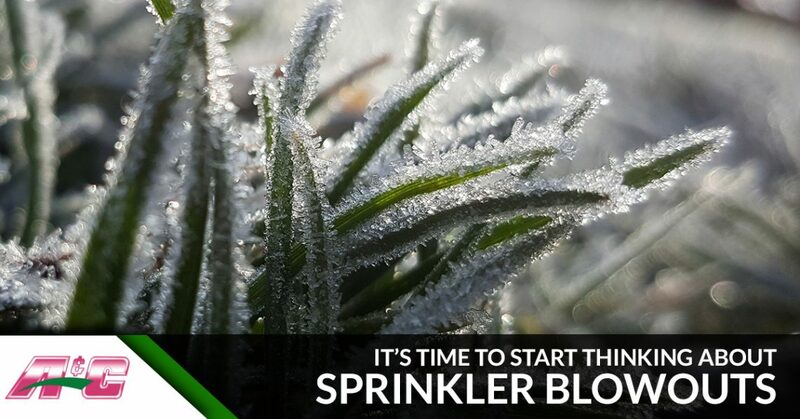 From November through march, there is always a chance that temperatures will drop below freezing , which means skipping your sprinkler blowout is simply not an option. Why Should You Have Your Lawn Sprinkler System Turned Off? Even by mid October, it’s likely that you are going to begin noticing a significant drop in temperatures. This is why we normally suggest that people have their sprinkler system winterized before the first frost. If you do not do this, you may already be at risk of damaging your irrigation system. If you choose to not have a sprinkler blowout at all, you will likely be dealing with busted pipes and backflow equipment becoming damaged. Additionally, if for some reason, the damage is not caught before spring arrives, you could even end up with a lawn that is entirely flooded when you go to turn the system on for the first time. This often results in homeowners having to replace their entire sprinkler system, as they have accidentally ruined their first. You know how expensive this can be, you’ve already paid for one. Not exactly how you would want to start the season, is it? This is why we reiterate how important this process is to have completed in early fall. After all, winterizing your irrigation system is easy, fast and it will definitely save you from making a ton of expensive repairs in the future. So What Happens When You Winterize Your Sprinkler System? While many homeowner will try to winterize their sprinkler systems on their own, this process is not as easy as it sounds if you are not a professional. While using an air compressor seems like something that couldn’t be too terribly challenging, in this capacity, you have to know precisely what you are doing if you want to make sure your sprinklers will be ready for cold temperatures. This is why we also suggest that you hire an expert sprinkler team to handle your blowout if you need one. The complete blowout of your system. We do this by using a high-pressure air compressor to blow air through the system. This works to remove any water that may be present, as well as dry it. We take extra precautions to ensure that no damage occurs to the backflow, valves, sprinkler heads or rotors. This is done by using a very specific pressure and technique. We will also drain and check the backflow preventer to ensure that your sprinkler system is prepared for winter. 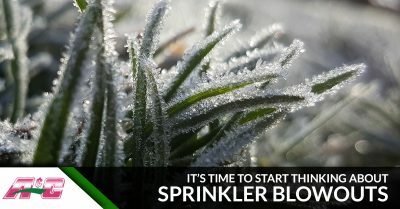 Ready to Schedule Your Sprinkler Blowout? If you weren’t sure that you needed a sprinkler blowout but now you see the value in the process, it’s time for you to call the professional sprinkler winterizers at A&C Sprinkler. We complete winterization in homes all over the Toms River area and we have been for over 30 years. Do not risk having to replace your entire sprinkler system by skipping out on a sprinkler blowout. Instead, do your sprinkler system a favor and call us today! You will be so happy you did when you turn your system back on in the spring and it’s working perfectly. Contact us today for more information about pricing for sprinkler blowouts and so that we can answer any questions that you may have concerning this service. Schedule Your Sprinkler Blowout Today!